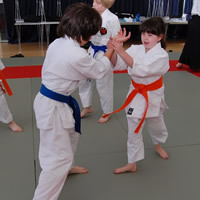 Genryukan Aikido is doing kids classes (from 8 years old), starting Monday 4th June 2012. Beginners always welcome, first session is free! For more information, visit our kids page.